Each year over 25,000 students from around the globe choose Salamanca in Spain as the place to learn, put into practice and fine-tune their Spanish language skills, consolidating Salamanca’s position as a point of reference for language tourism in Spain. 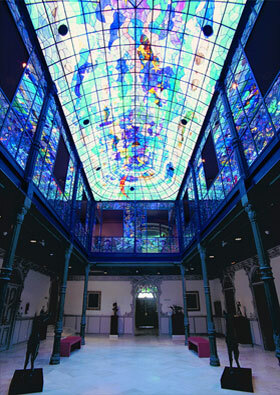 Salamanca is a vibrant, friendly, dynamic, safe and well-kept city. Hand in hand with the prestige and tradition enjoyed by its renowned University, one of the oldest in Europe, Salamanca’s excellent and highly-respected teaching centres make it the perfect destination for learning languages and for perfecting ones language skills; in short, it is the self-proclaimed la Ciudad del Español, the City for Spanish. Given Salamanca’s humanistic tradition and rich artistic and historical heritage, it was no surprise when in 1988 it became a designated World Heritage Site by UNESCO and subsequently, in 2002, was named the European Capital of Culture. Salamanca’s language tourism trademark, Ciudad del Español, is supported on two fronts. On one hand, the needs of the Spanish language sector that wished to reinvent itself, to update and improve the quality of its products and services and to get better results from their promotional and marketing activities. In other words, it wished to consolidate its market position and promote Salamanca in a language marketplace that had become more and more globalized and competitive, but which nevertheless still offered huge potential. On the other hand, the wishes of an entire city to find some future language-related project that would emphasize the importance of the role of the Spanish language in Salamanca, and above all, highlight the close links between language learning and the city. Ensuring the active involvement of the city in this project, along with the city’s two Universities, teaching centres, and the Chamber of Commerce has been one of the major challenges faced by Salamanca Town Hall, by way of its Salamanca Tourism and Communication S.A.U. 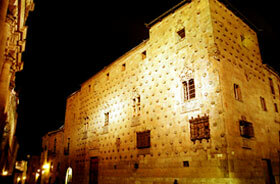 The Spanish language very much complements Salamanca’s already rich cultural heritage. Stimulating competitiveness in all facets of the language and language-teaching sector, strengthening marketing efforts in the search for new audiences and new markets are the challenges faced today by Salamanca Ciudad del Español. In its role as scholar and guardian of the Castilian language, over recent decades, Salamanca has shown that it boasts an ideal environment for learning Castilian, a tool that in turn facilitates a better understanding and appreciation of its artistic and cultural identity. It is no coincidence therefore that Salamanca University oversees an exam that is sat in more than 50 countries around the world. Successful candidates are awarded the only Spanish diploma officially recognized by the Spanish Ministry of Education, Science and Sport. 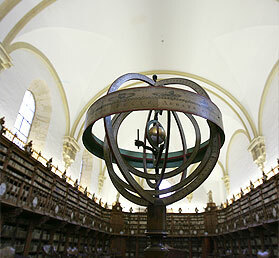 Large numbers of students from all over the world come to the University or to the city’s many private teaching centres, all with a desire to learn a language in a unique setting: Salamanca and the Salamancan lifestyle. In this manner, the high teaching standards are complemented by the great variety of cultural activities available in Salamanca. These in turn enhance the learning experience for students of Spanish in the city. 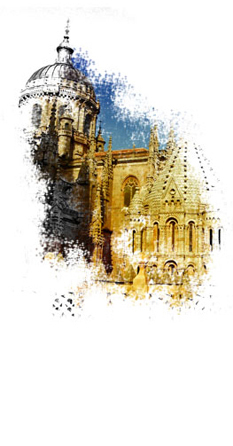 Tourism and Communication of Salamanca S.A.U.